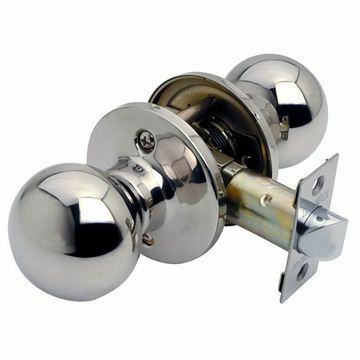 Passage, Entrance & Privacy knobsets all available in polished stainless steel. The Bala 'knobset' is a US style door knobset that is ideal for replacing knobsets on doors where a large 50 - 55mm hole is already drilled in the door for this type of door knob. 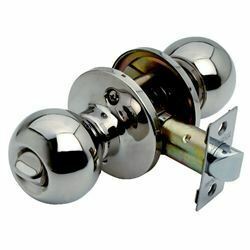 Supplied in passage format (for doors that open and close with no locking function), privacy format (for bathroom or WC doors that lock with a turn on the inside and feature emergency release on the outer knob) or entrance format (for doors that lock with a key on one side and thumbturn on the inside). 52mm knob on a 65mm rose. Suitable for use on 32mm - 45mm thick doors. Supplied in polished stainless steel with an adjustable latch, frame striker and all necessary fixings. 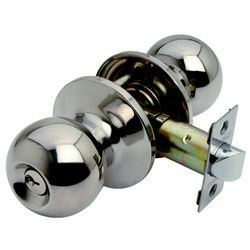 The latch backset can be adjusted to 60mm or 70mm (standard for knobsets). This determines the distance from the edge of the door to the centre of the door knob. Bolt fixes from one side of the door into the opposing rose on the opposite side of the door. Supplied with a 5 year mechanical warranty.